People always ask me what are the Elevation gains for the Everest Base Camp trek in Nepal. We will look at the elevation gain in a minute, but you also need to consider the distances on the Everest base camp trek. Read more on the daily distances. Then think about the lack of oxygen or altitude you are going too, then you can really formulate a great training plan. CONTACT US we can help you fully understand the challenges. 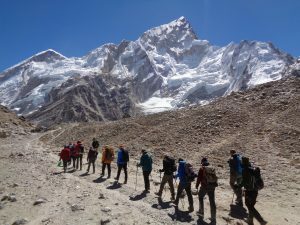 Here is a short breakdown of the elevation gains for the Everest Base Camp trek in Nepal, that you will be hiking up and down from each day on an Ian Taylor Trekking trip to Everest Base Camp. 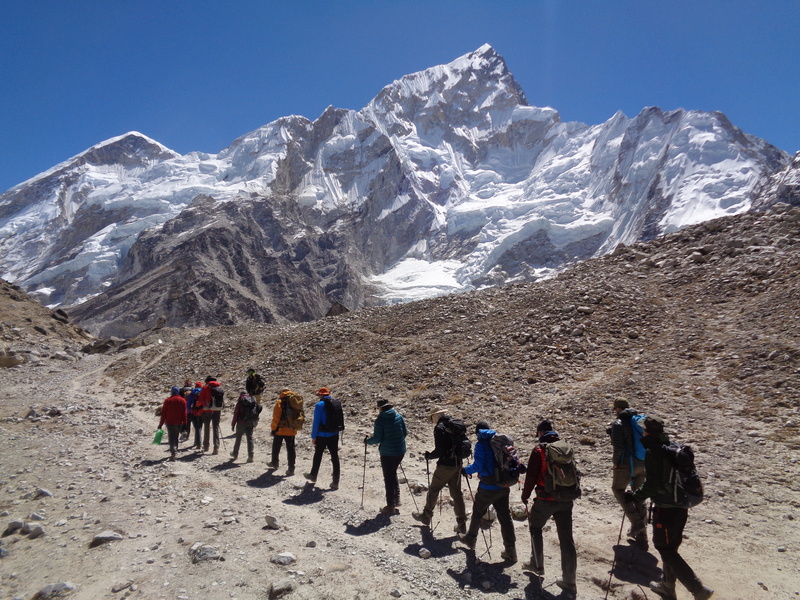 Check out the daily distances on our Everest Base Camp trek. 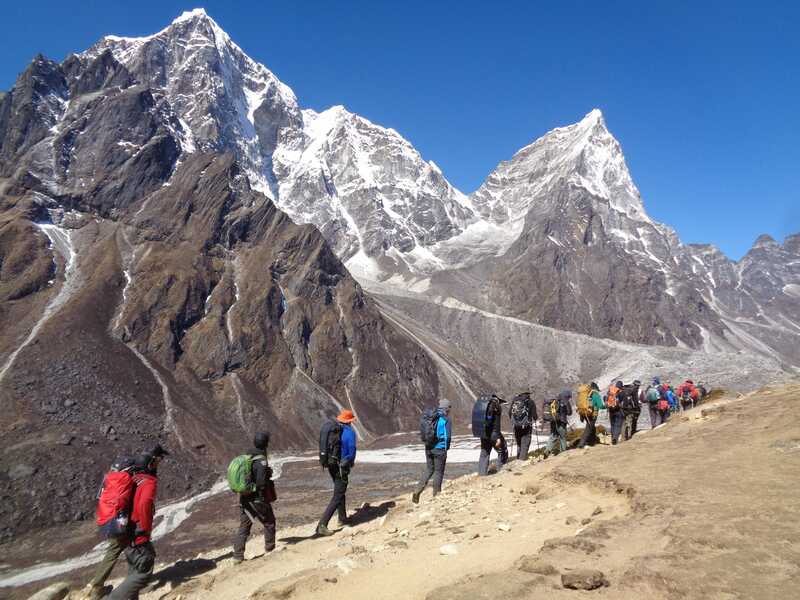 Check out information about how difficult it is trekking to Everest Base Camp. 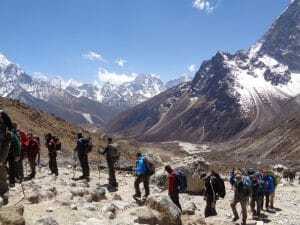 The elevation gains for the Everest Base Camp trek in Nepal are one element of the trek to Everest Base Camp. 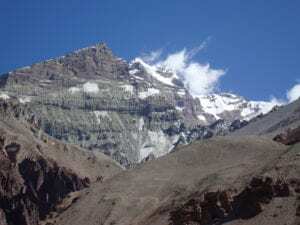 So you would need to build up your training around the sort of elevation gains you will be doing on the trek, remembering that you will be getting 30% to 50% less oxygen getting to your muscles. Your body will be under more pressure to adapt so you need to have the physical conditioning for the distances and elevation up and down. Remember the higher you go the harder it gets. 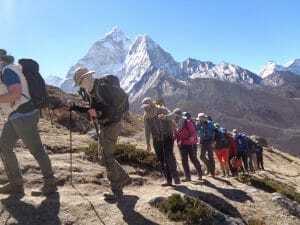 In preparing for the elevation gains for the Everest Base Camp trek in Npeal you also need to build up to training with a weighted back pack. You should be building up to training with double the weight you will be carrying each day on the trail. For example you will be carrying approximately 6kg/ 13lbs on each day of the hike. You will have your back pack, 3 liters of water, rain gear, sun cream, camera, snacks, small personal medical kit and and possibly an extra layer of clothing higher up. So you REALLY need to be building up to training with twice the weight at sea level so you are getting the right conditioning into the muscles. You will also be gaining the endurance, fitness and muscle memory needed to make the trek a safe and successful one.